In 1542, conquistador Juan Rodriguez Cabrillo’s voyage and exploration of the West Coast was the first of its kind by a European and set the stage for later European expeditions. Despite his history-making journey, he likely never suspected that a national monument in San Diego would be named after him 371 years later. Cabrillo National Monument’s 160 acres commemorate his breakthrough exploration and showcases the area’s coast defenses and Old Point Loma Lighthouse history. The annual lighting of this retired lighthouse takes place on November 15, which is one of two days during the year (the other is August 25) when you can walk up into its tower. Even if you missed the lighting and walk-up, you can still get a feel for lighthouse life in its refurbished first floor and enjoy the breathtaking views of San Diego Bay, downtown San Diego, the City of Coronado, the Coronado Islands, local mountains, Mexico, and the Pacific Ocean. 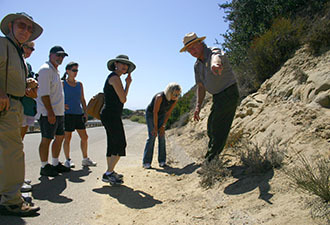 Take a leisurely hike on the moderate, 2½-mile roundtrip Bayside Trail, as it winds along the eastern side of the park, providing spectacular views of San Diego and the entrance to the San Diego Harbor and its Coastal Mediterranean habitat, one of the most endangered ecosystems in the world. Watch ships and submarines come in and out of port as the faint sound of sea lions barking in the distance is accompanied by the muffled rhythm of waves breaking on the cliffs below the trail. Pacific gray whales pass Cabrillo National Monument on their annual migration south from the Arctic towards Baja California, Mexico, where they mate and give birth. From late December to early March, you can see these majestic creatures from the west-facing side of the park. Mid-January is the peak period when these mammals pass by the park during their 10,000-mile roundtrip journey, the longest of any mammal in the world. Come celebrate this phenomenon during our Whale Watch Weekend and Intertidal Life Festival, February 6-7, 2010. You may witness the blows or spouts of a whale, spy hops, breaches, or their flukes, or tails, as you look out over the Pacific Ocean. 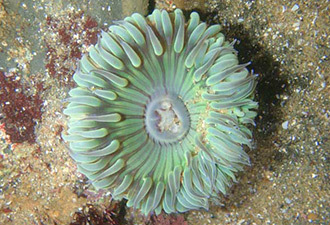 Fall and winter are great for tidepool viewing because the tides drop low enough to view this special ocean ecosystem. From anemones to knobby sea stars, you can see creatures and plants up close, within the rocky intertidal zone. Stop in at the visitor center to ask a ranger about the timing of low and high tides, and plan accordingly. 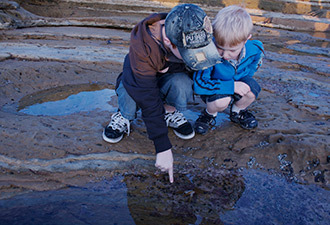 Explore the tidal pools on your own or enjoy a ranger-led walk. Bring the kids who will love the Junior Ranger and Deputy Ranger programs. Come discover the park’s nature and rich history in the midst of San Diego, one of the top tourism destinations in the country, with a wealth of natural, cultural, recreational and leisure opportunities.